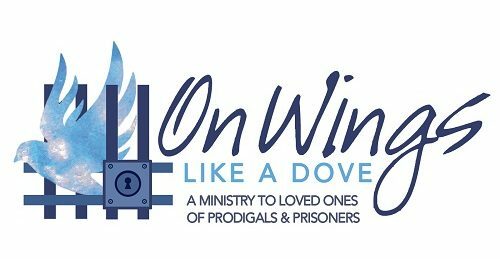 On Wings Like a Dove, Inc. packs plastic shoe boxes for children of prisoners and prodigals. We call our boxes “Treasure Boxes”. We accept packed boxes or we accept donations of items that will fit in the box. Please indicate if the box is for a boy or girl. 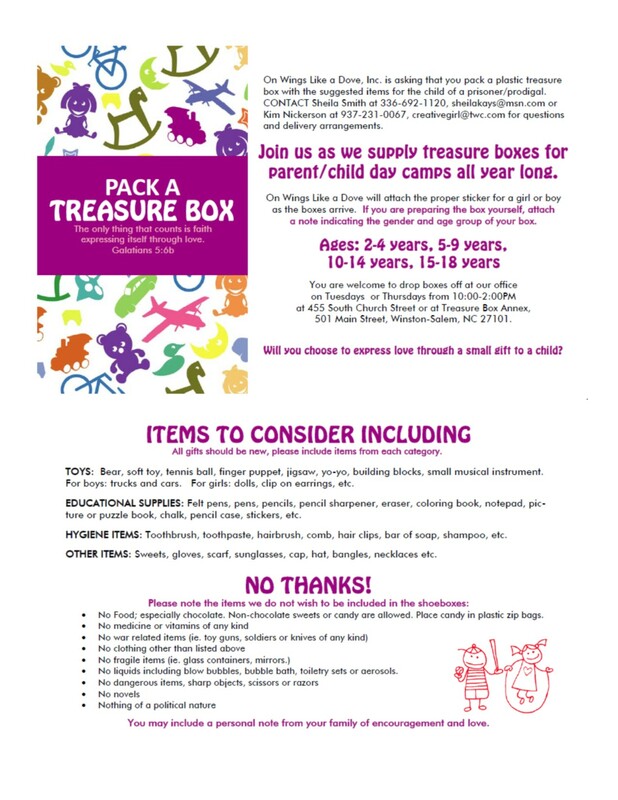 You are welcome to drop boxes off at our office on Tuesdays thru Thursdays from 10:00-2:00 pm at 455 South Church St., Winston-Salem, N.C.